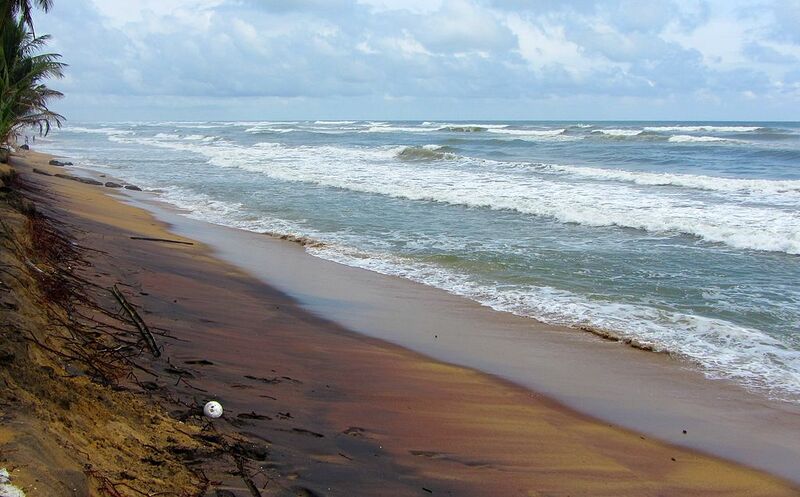 Located off the western coast of Sri Lanka, Wadduwa is a fishing town and an offbeat tourist destination. The town is home to a myriad of attractions and offers a variety of things to do for its visitors. The region surrounding Wadduwa is famous for coconut cultivation and it is one of the major toddy and vinegar producers. Being an offbeat tourist destination beaches in Wadduwa won’t be that crowded as you expect. The setting at the beach is serenely quiet and peaceful. The beach offers a golden strip of sand which is perfect to lie down and enjoy the warm tropical sun. The waters are warm and are ideal to go for a swim or to take a refreshing dip. Visitors get to enjoy a variety of exciting activities including windsurfing, sea kayaking, jetski riding and so much more. If you are a sports fan and you can enjoy a game of beach volleyball on the shores of Wadduwa. There are a plethora of places you could visit during your time at Wadduwa, The Richmond castle, The Kalutara Bodhiya, the brief gardens are some of the places you might want to consider visiting during your stay. The city is also blessed with a wealth of Sri Lanka beach resorts the likes of The Blue Water Hotel and Spa for your stay. Next Post Arts and crafts in Sri Lanka – For the Artsy ones!